West Virginia appears to be shifting towards a pro-sports betting stance. The state Lottery has launched a case study into the impact of sports gambling legalization. Reports show that the study will cost the Mountain State $160,000. If the study fares well, West Virginia sports betting could become state regulated. The study will be conducted by research firm Eilers & Krejcik Gaming. The firm recently made headlines when they published a report stating that more than 30 states are likely to authorize sports betting by 2023. If this becomes true, US based sports betting may finally get its chance to match the success of other international sports gambling markets. Eilers & Krejcik Gaming focuses on gaming technology and equipment. The firm is based in Santa Ana, California, and conducts market research, company research and even does consulting for land based and online casinos. 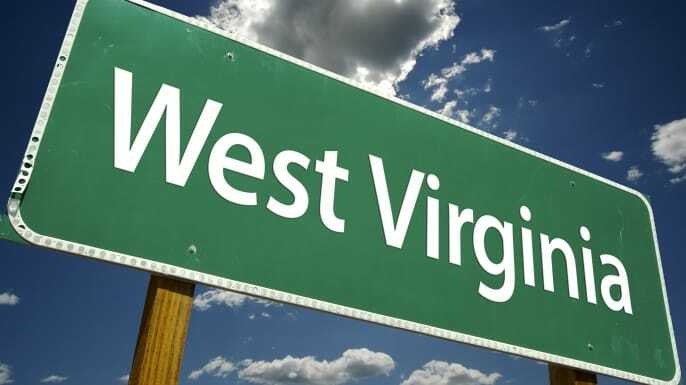 Their report on the potential 2023 sports wagering coalition proposes that a $6 billion revenue marker could be reached, which shows why West Virginia may be intrigued. According to State Lottery Commission Director Alan Larrick, the firm has been contracted to review opportunities and the potential economic impact of introducing sports betting and other forms of Internet gambling in the Mountain State. West Virginia wants to be as informed as possible on this issue and, pending the outcome of the case study, may push for legalization with this newfound knowledge in tow. Larrick indicated that this is not the first instance of WV looking at sports betting. He alerted his Lottery constituents to be ready for a possible sports gambling option rollout in the summer. Delegate Shawn Fluharty of the West Virginia Legislature sponsored a sports betting bill earlier this year as well, but it failed to make any significant advancement. He believes that things will pick back up in January once this case study is completed. Now that the Lottery Commission appears to be on board with the possibility of an online gambling market, a favorable case study result should be the final push towards new legislation come July. Fluharty stated that if the legislature fails to pass any such legislation, it will be a missed opportunity and a disservice to local taxpayers. West Virginia’s involvement with sports betting extends to the ongoing case with New Jersey and the US Supreme Court. WV Attorney General Patrick Morrisey filed an amicus brief including 20 other states stating that the Professional and Amateur Sports Betting Act (PASPA), the federal ban on sports betting, should be repealed. That case is expected to resolve sometime early next year. If New Jersey wins, and PASPA is struck down, it will allow states like West Virginia to implement a legal and regulated sports betting market.